Here at GSI, we want our new drivers to be as comfortable as possible with the cars they are learning in. and so we will always ensure that any car you step into is a smooth, reliable, modern vehicle, with all the latest safety features, including dual controls for the instructor. We find that these are excellent vehicles for any type of driver, beginner or not, and at GSI all our pupils do appreciate a nice new car! All cars are fully air conditioned and are very spacious on the inside, whilst still being small and easy to manoeuvre. For example, the 208 1.6 Diesel engine, whilst still being very modest on power, provides our pupils with confidence, enabling them to maintain excellent control over the vehicle. 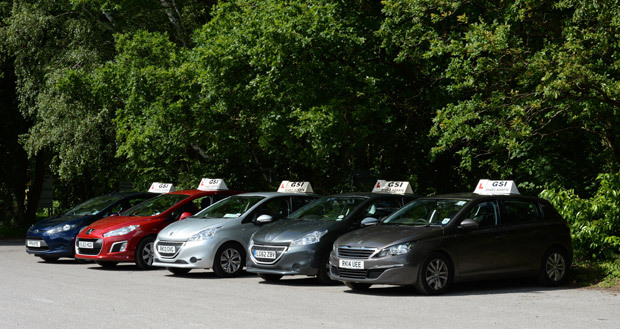 Over all these cars are suited perfectly for learning in, ensuring that our pupils will enjoy their lessons in comfort and safety.